Timur Bekmambetov wants me to go online so he can record my every click. In a conference room overlooking Central Park, the Russian-born filmmaker behind action blockbusters like Wanted and Abraham Lincoln: Vampire Hunter has me type in the address of the website you're currently reading on his laptop and we pull up a recent article about the horror sequel Unfriended: Dark Web, one of two movies he produced this summer. 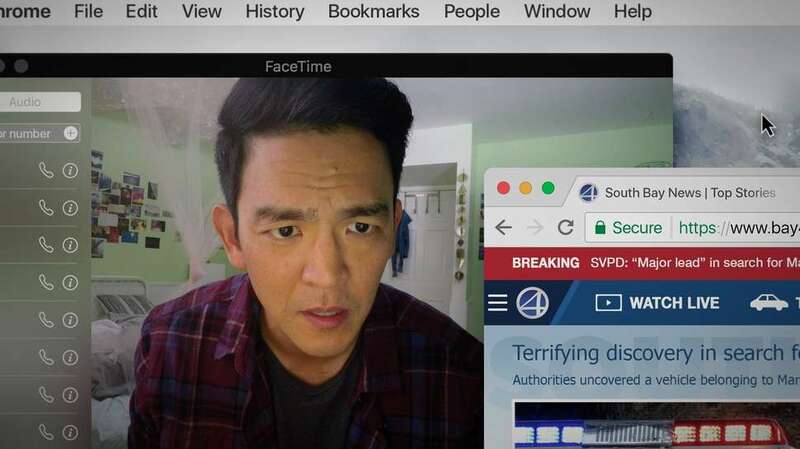 (The other, the John Cho starring missing-person thriller Searching, is in wide release this weekend.) But he's not really here to promote these specific projects. Instead, he's playing the part of celebrity pitch-man and budding tech entrepreneur. He's selling a way of life. "We call them Screenlife movies, the movies where the story takes place on a computer screen," he tells me after my brief tutorial comes to a close. "We developed our own tools. It doesn't exist because traditional recorders do not allow you to record the clickability and record elements that you can change in the editing room." For Bekmambetov, who remembers first using a computer "the size of this room" to cheat on a math assignment as a student and later used emerging tech to create the complicated visual effects of his breakthrough fantasy film, Night Watch, in the early '00s, movies are failing to capture the texture of modern life. Specifically, they're not showing the time spent navigating a computer screen. According to the 57-year-old director, we lack a visual language to tell these stories. With Screenlife he's hoping to create a new cinematic vocabulary out of our Spotify playlists, Facebook chats, and Skype calls. He wants to put the messy (and revealing) minutia of your computer screen on the big screen. "It's not exciting for me to repeat things already done before," he says. "There are a lot of great movies every year, but I have a feeling I've seen them before. Like, Three Billboards: unbelievable, great storytelling. But I've seen a Coen Brothers movie and it's kinda the same, right? Or a new Fast and Furious? I've seen that. Not even that -- I made Wanted, which is the same thing. There's nothing really new as a filmmaker I can be like, 'Oh my god, I don't know how to do it.' Screenlife has filled this gap." Bekmambetov can sound like a preacher or a carnival barker when he makes his Screenlife pitch, but he's hardly the first filmmaker to see the narrative potential in exploring what the critic Nick Pinkerton has referred to as "screenshot mise en scène." Elijah Wood starred in Nacho Vigalondo's thriller Open Windows, which debuted at SXSW 2014, and the year before brought us both the viral short "Noah" and the webcam scarefest The Den. Memorably, Joe Swanberg's creepy chapter in 2012's found-footage anthology film V/H/S played out in video chats. Looking back even further, the micro-budget indie The Collingswood Story from 2003 used similar concepts and older technology to tell a story of a long-distance relationship gone horribly wrong. The approach -- or, if you're less charitable, the gimmick -- is hardly new. Still, none of these movies caught on with the public like 2015's Unfriended, which grossed over $64 million on a $1 million budget. According to Bekmambetov, it was a movie no one wanted to make. ("You idiot, who will pay $15 bucks in a cinema to see their laptop on the screen?" he remembers being told in meetings.) After the film debuted at the Fantasia Film Festival in Montreal, it was picked up by Universal and Blumhouse, the horror distributor behind low-budget hits like Paranormal Activity and Insidious. As a producer, Bekmambetov was insistent that Unfriended needed to be released on a big screen for two reasons: so it would be interpreted as cinema and so the movie would have the marketing of a major studio behind it. Darker and less teen-friendly than its predecessor, this summer's Unfriended: Dark Web failed to replicate the financial success of the first movie, grossing less than $10 million worldwide. 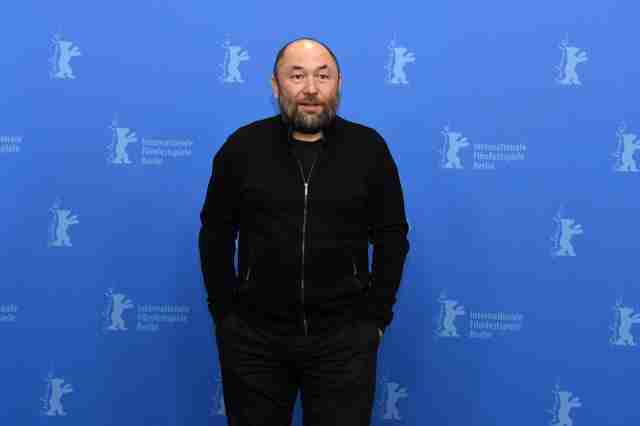 But it earned some strong reviews and, especially important for Bekmambetov, helped spread the gospel of Screenlife. Similarly, Searching was purchased at this year's Sundance Film Festival by Sony for $5 million and will expand into wider release this weekend. He doesn't want these movies debuting on a streaming service like Netflix, where the desktop image would be shrunk down to your computer screen. If you even found the movie. "It would be buried by them," he says. "It would be one of thousands of movies and nobody will pay attention. This is a traditional marketing process. It was important to put it in a [theatrical] context -- it's cinema. Not video art." Technically, neither Searching or Unfriended: Dark Web were filmed using the Screenlife software that Bekmambetov let me test drive. For Searching, director Aneesh Chaganty pre-edited the film and made an animatic of the whole movie; Unfriended: Dark Web, which shared a post-production office with Searching, was shot over eight days and then primarily shaped over a lengthy post-production process that resembles the work on an animated film. They also feel very different on a tonal and formal level. While the only music in Unfriended: Dark Web comes from songs playing on on-screen apps, Searching features a more conventional score by composer Torin Borrowdale. 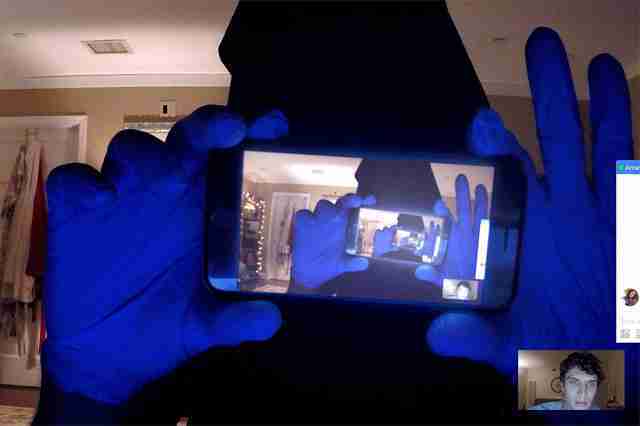 Unfriended: Dark Web unfolds in real-time like a stage-play; Searching covers a far greater stretch of time. In addition to serving as a producer on these two movies, Bekmambetov has made his own computer-bound story. For his follow-up to 2016's historical epic Ben-Hur, he used the Screenlife software to film Profile, his upcoming drama about a journalist tracking down an ISIS recruiter online. The film, which debuted earlier this year at the Berlin International Film Festival but hasn't been released in the US yet, will be a significant test for Screenlife. We know horror movies can work, but what about less genre-based material? What types of stories can be told in this format? Ever the evangelist, Bekmambetov thinks there's no genre that can't be given the Screenlife treatment. He's already produced a romantic comedy, Marja-Lewis Ryan's Liked, and he tells me about a Russian-language farce that he compares to The Hangover called DOB. (The studio also produced Buzzfeed's Future History: 1968 web series, which lets viewers experience historical events through the lens of social media.) Bekmambetov's production company Bazelevs currently has an open call for submissions of potential Screenlife projects and Bekmambetov says, "we have investors to greenlight 14 new movies." Beyond discovering new talent, the technique could eventually attract more established filmmakers looking to experiment or bounce back from a costly flop with a low-budget hit. Found footage, the cost-effective horror craze of the last decade, captured the interest of talent like M. Night Shyamalan (The Visit) and Barry Levinson (The Bay). Bekmambetov says he would love to see Michael Bay's version of a Screenlife movie. (Imagine Bad Boys III told via iPhones.) Bekmambetov tells me he'd like to make DuskWatch, the long-rumored third movie in his dark fantasy trilogy, using the Screenlife technology, describing it as "a perfect fit." There are less immersive ways to dramatize life online. Recent indie hits like Eighth Grade, with its social media odysseys scored to Enya, and Sorry to Bother You, with its third-act twist involving a viral video, have integrated elements of web culture into conventionally shot narratives. As our reliance on the internet as a means of communication grows more intense with each passing year, the movies will likely struggle to catch up in portraying the surreal intimacy and emotional intensity of scrolling on your phone. Young filmmakers raised on the aesthetics of Twitch, YouTube, and Snapchat will inevitably be drawn to less traditional formats. Assuming they still want to make movies. Though many of these projects explore universal anxieties about technology -- horror and thriller stories require tension -- Bekmambetov doesn't consider himself an especially paranoid person. He doesn't put tape over the camera on his computer. He wears an Apple watch. He says he tried Google Glass and almost crashed his car as a result, but he remains fundamentally hopeful about technology. He's curious by nature. Towards the end of our conversation, he compares his adventures with Screenlife to the excitement of playing with toys as a child. When he was a young boy, his uncle gave him a toy horse as a present and he cut off its head to see what was inside. "My parents were very angry," he laughs. "They said, 'You destroyed the horse.' But what's happened with Screenlife now very much reminds me of this horse. I'm trying to understand the reality -- the new reality."